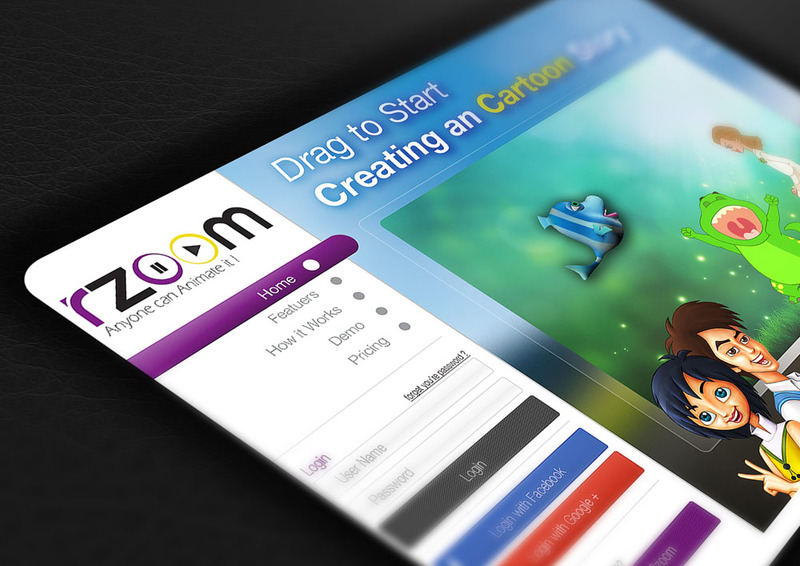 RZoom helps creating animated characters on screen; characters that move according to a pre-set frames, predefined by the user himself. This solution includes figures' templates, and an effective editor for many special effects and features, that help the user to add more attraction to the character or the animation he is creating. Such as voice-over for any character, or the inclusion of a talk-bubble, adding coordinate colors to the scene and background, adding pictures, and changing character face expressions and body movements through a pre-set command sequence. In addition, it provides the possibility of including an audio Soundtrack, and exporting this animation clip in different formats for any interactive personal use on the media library available to the user. RZoom operates to create funny animated characters and bring them closer to reality, by adding movements on certain levels of expressions, that has significance in the learning material itself, which adds a new positive interactive atmosphere to the e-learning material or course, especially for younger students. The work on the characters by RZoom editor is an enjoying experiences that enhance the way presenters design their characters, a handful tool for the always busy teachers.